Greetings Republic Citizens. Yesterday in the AM via the Federation news frequencies, The Bareesh Hutt clan announced that all citizens, AND allies, of the New Republic, were to be murdered on sight if they visit the world of Nar Shaddaa. The Republic is extremely disappointed in the actions of the Hutts, in it’s proclamations to harm the innocent. The Republic had put sanctions on the Hutts due to similar behavior, and have now shown their true nature to the galaxy as they make vile threats against Republic visitors to their world. While it is true the Republic had sanctions against those coming from Hutt space, we would never murder one of their citizens who violated this declaration. Due to the barbaric clan’s declaration upon our citizens, all military personnel are completely restricted from entering Hutt space, and all citizens are requested to venture into Hutt Space at their OWN RISK. The Republic will NOT sink to Hutt level and retaliate against this brutal act. But neither will it treat with individuals who seek to get our attention under threat. All attempts from the Hutts at communication with the New Republic shall be blocked until this barbaric order is lifted and our citizen safety assured. GNW received a holo-video of the Bareesh clan Great Hunt Closing Ceremony. 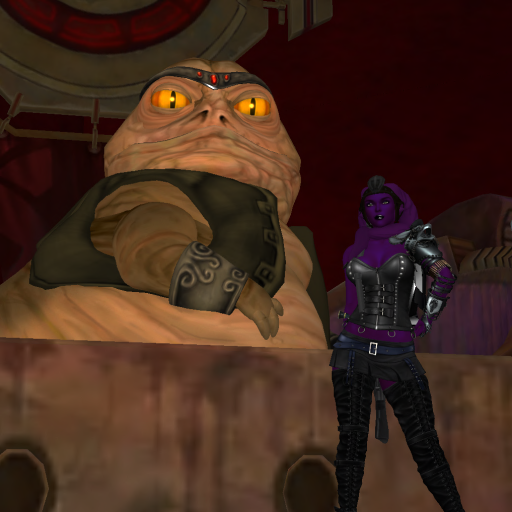 The event started off with Rolga the Hutt congratulating Sienna Durra who won the first round of the great hunt. Sienna Durra was honored with the title of Huntmaster and the Huntmaster’s trophy. 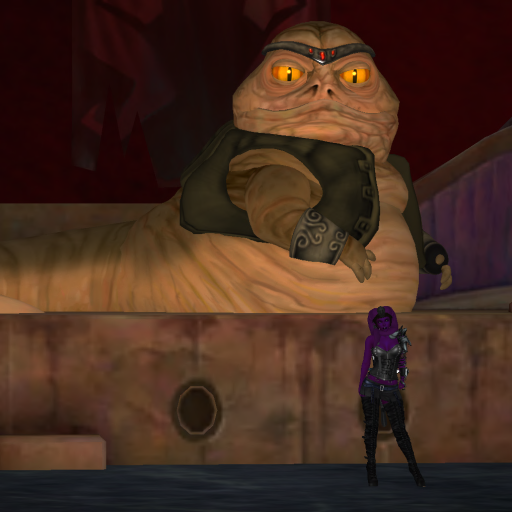 Then Rolga the Hutt thank all who competed in the competition and tells them to enjoy the feast. In Huttease Sienna Durra thanked Rolga and said it was an honor to hunt down these unfortunate people that had a mark upon their heads. She also said she accepted this new title and the trophy and hope it gives other Hunters the inspiration needed. She then said she hopes that the next round has a better quarry. Huntmaster Sienna Dura answered by saying I don’t see why not. GNW will keep you informed of other Great hunt events as they come.